Washington Federal Inc. (WAFD): Are Hedge Funds Right About This Stock? The Insider Monkey team has completed processing the quarterly 13F filings for the September quarter submitted by the hedge funds and other money managers included in our extensive database. Most hedge funds have been producing disappointing net returns in recent years, however that was partly due to the poor performance of small-cap stocks in general. Well, small-cap stocks finally turned the corner and have been beating the large-cap stocks by more than 10 percentage points over the last 5 months.This means the relevancy of hedge funds’ public filings became inarguable, as they may reveal numerous high-potential stocks. 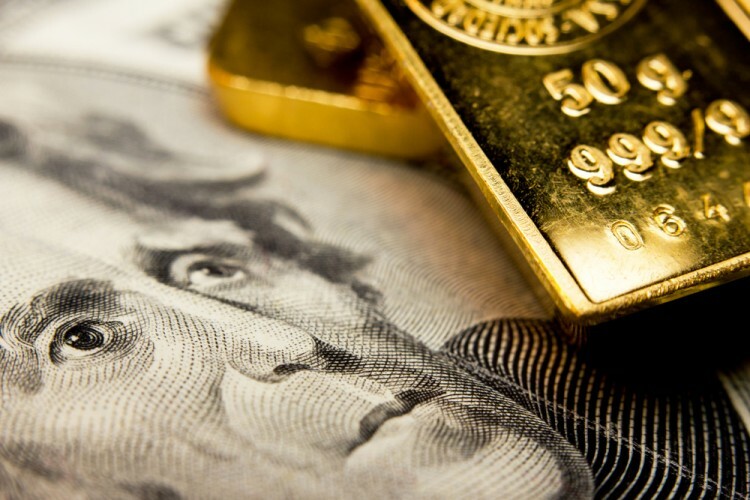 The following article will discuss the smart money sentiment towards Washington Federal Inc. (NASDAQ:WAFD). Is Washington Federal Inc. (NASDAQ:WAFD) undervalued? The best stock pickers are categorically getting more optimistic. The number of bullish hedge fund bets grew by 1 lately. WAFDwas in 13 hedge funds’ portfolios at the end of September. There were 12 hedge funds in our database with WAFD holdings at the end of the previous quarter. The level and the change in hedge fund popularity aren’t the only variables you need to analyze to decipher hedge funds’ perspectives. A stock may witness a boost in popularity but it may still be less popular than similarly priced stocks. That’s why at the end of this article we will examine companies such as Drew Industries, Inc. (NYSE:DW), Whiting Petroleum Corp (NYSE:WLL), and The Cheesecake Factory Incorporated (NASDAQ:CAKE) to gather more data points. Keeping this in mind, we’re going to view the new action regarding Washington Federal Inc. (NASDAQ:WAFD). How have hedgies been trading Washington Federal Inc. (NASDAQ:WAFD)? At Q3’s end, a total of 13 of the hedge funds tracked by Insider Monkey were long this stock, up 8% from one quarter earlier. 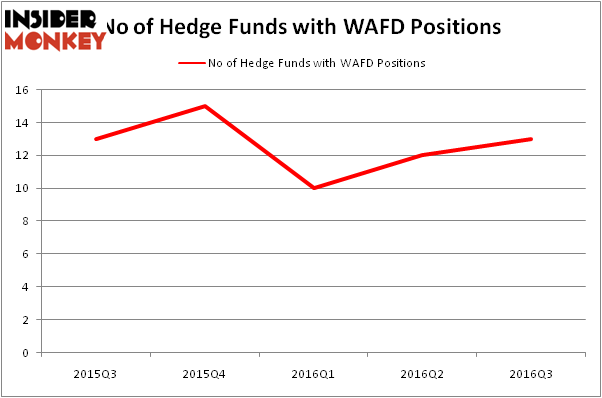 On the other hand, there were a total of 15 hedge funds with a bullish position in WAFD at the beginning of this year. So, let’s find out which hedge funds were among the top holders of the stock and which hedge funds were making big moves. According to Insider Monkey’s hedge fund database, Jim Simons’ Renaissance Technologies holds the biggest position in Washington Federal Inc. (NASDAQ:WAFD). According to regulatory filings, the fund has a $12.1 million position in the stock, comprising less than 0.1% of its 13F portfolio. The second most bullish fund manager is AQR Capital Management, led by Cliff Asness, holding a $6 million position; the fund has less than 0.1% of its 13F portfolio invested in the stock. Some other hedge funds and institutional investors with similar optimism consist of Sharif Siddiqui’s Alpenglow Capital, Peter Rathjens, Bruce Clarke and John Campbell’s Arrowstreet Capital and Philippe Jabre’s Jabre Capital Partners. We should note that none of these hedge funds are among our list of the 100 best performing hedge funds which is based on the performance of their 13F long positions in non-microcap stocks.